Imagination Playground - About the Designer | KaBOOM! 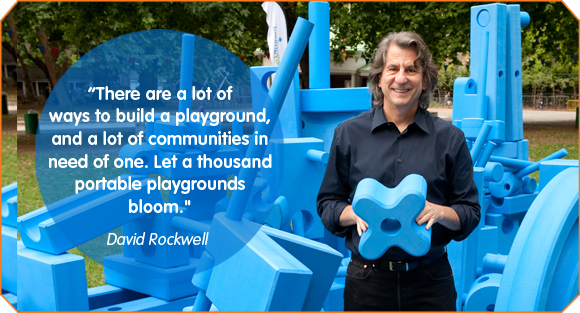 Imagination Playground™ was conceived and designed by award-winning architect David Rockwell, who was inspired by watching his own children play. The work of his firm, Rockwell Group, has been internationally recognized for its broad array of projects, from restaurants to stage sets, hotels to historic restorations, art programming to interactive design.